I had a couple friends in town and our first stop was Dallas. Just checking out some of the homes of the Dallas elite in Highland Park. Dreaming a little and wondering what these folks do for work! Horseback riding was on top of our list! So much fun and didn’t last nearly long enough! Check back soon for a recap! Among other things on this day, visiting the Texas country was one. Oh how I love endless views, water towers, windmills and these fences. The best BBQ in Texas, thus far. Plus good company, a great chef, pure Texas atmosphere. Be sure to tune in this Sunday on Spike TV, Hungry Investor will feature this good ole BBQ venue in Fort Worth and maybe you’ll even see someone familiar! Pretend to see my cleaning from the weekend and doing laundry. Let’s pretend to see my packing my suitcase for an early flight back to Vermont! Well, I made it back to Vermont. Take a look at these cute feet! 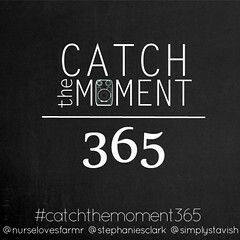 This entry was posted in Catch The Moment 365 and tagged Catch The Moment, Project 365 on May 2, 2014 by Diana.